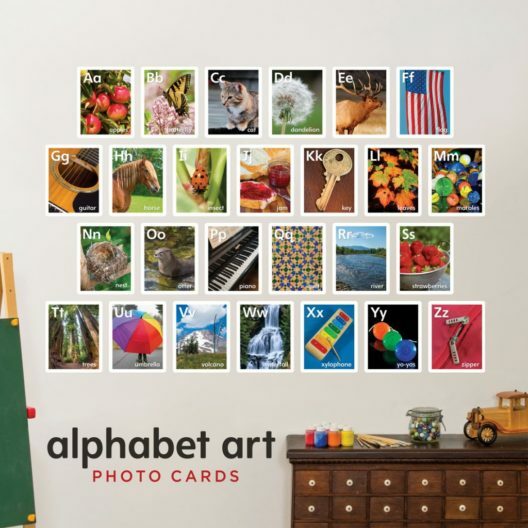 Alphabet Art Photo Cards are a fun, educational and decorative way for children to learn! Each beautifully photographed card has a letter of the alphabet in both lower and upper case plus the title of the object shown. These make a great gift for a child learning to read or learning his or her ABC’s.